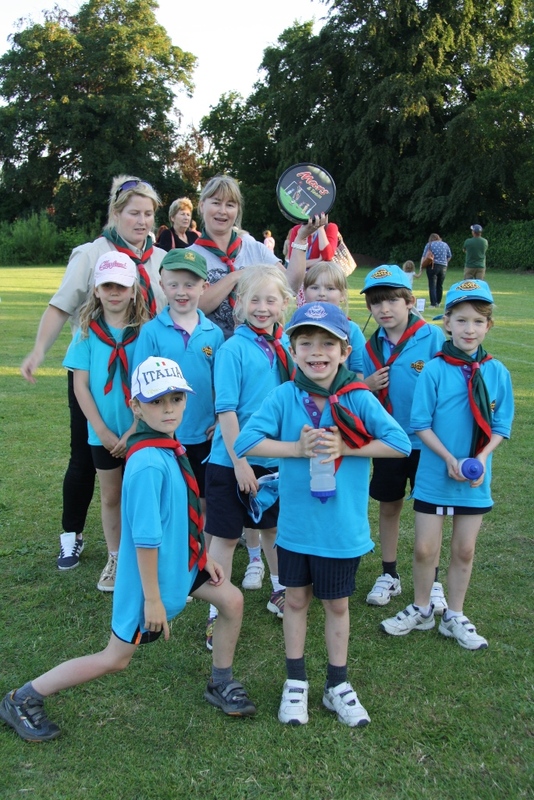 1st Westerfield Beavers took 2nd place at the Deben Beaver District Sports Event 2014. 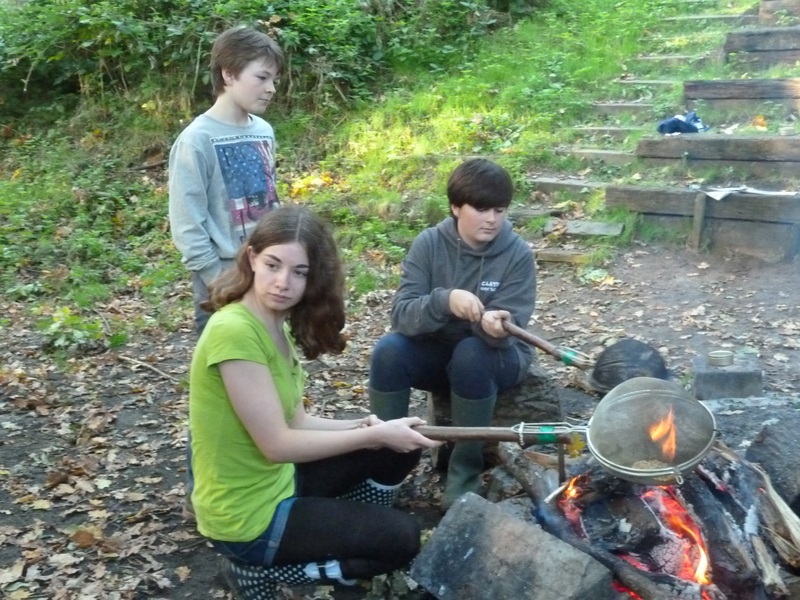 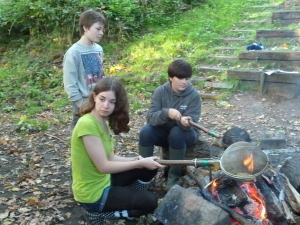 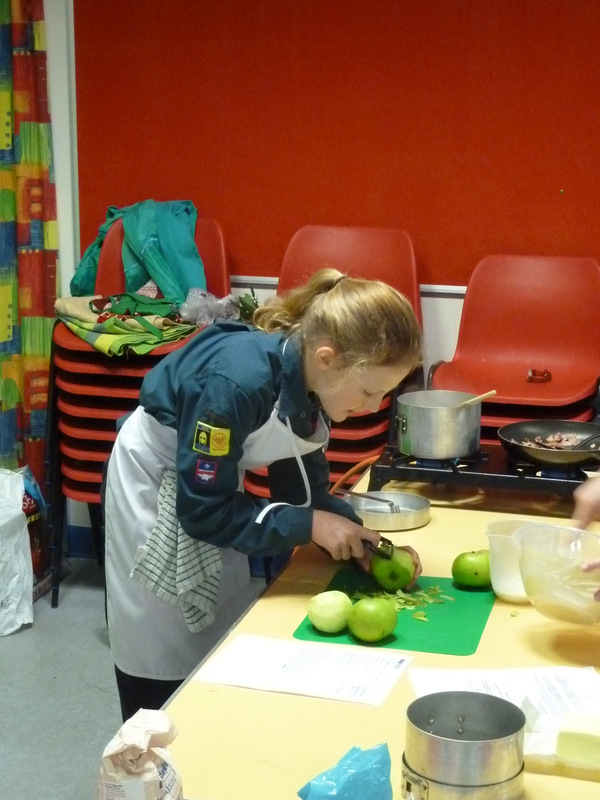 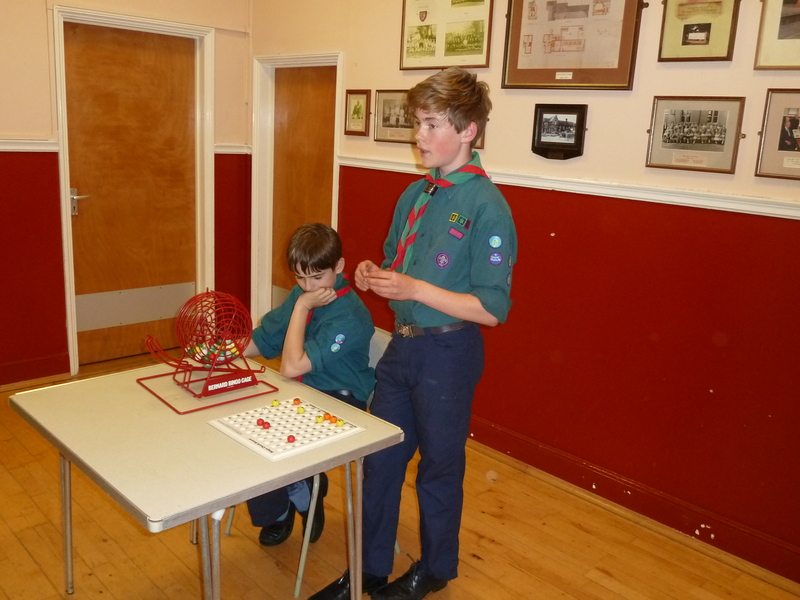 On Friday the Scouts held their annual Good turn evening where local senior citizens are treated to an evening of entertainment. 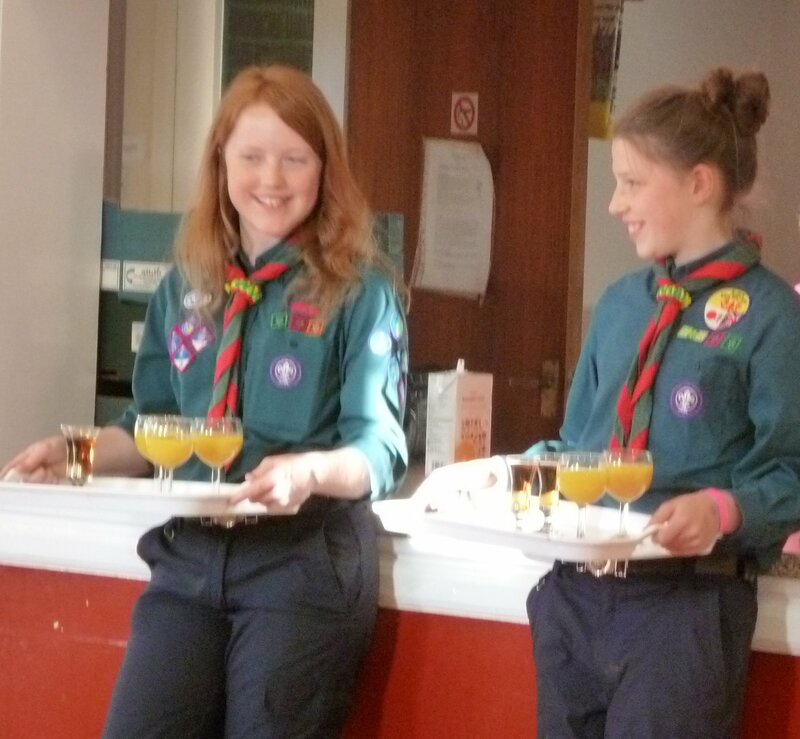 Ably organised by Shirley Fairburn, the Scouts serve the refreshments and run the Bingo. 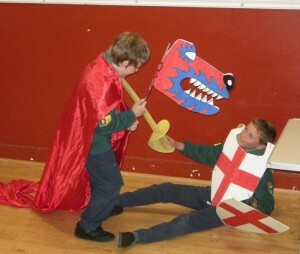 The entertainment at the start was provided by the Cubs, two of whom read a poem, one played a short piece on the piano and another on the Cello then some of them did a short play about St George.. Later during the coffee break a scout, Bobby, played a couple of short pieces on the clarinet. 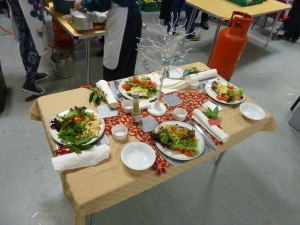 The guests appeared to have a good time. 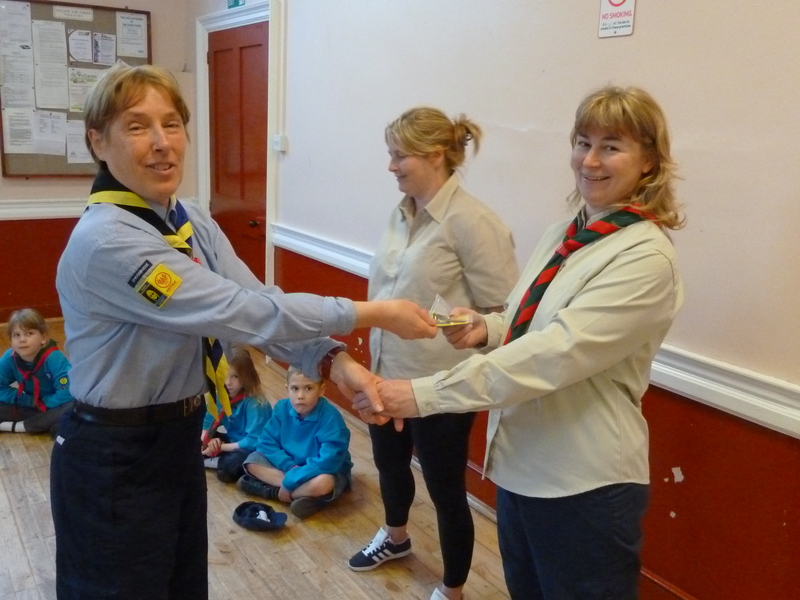 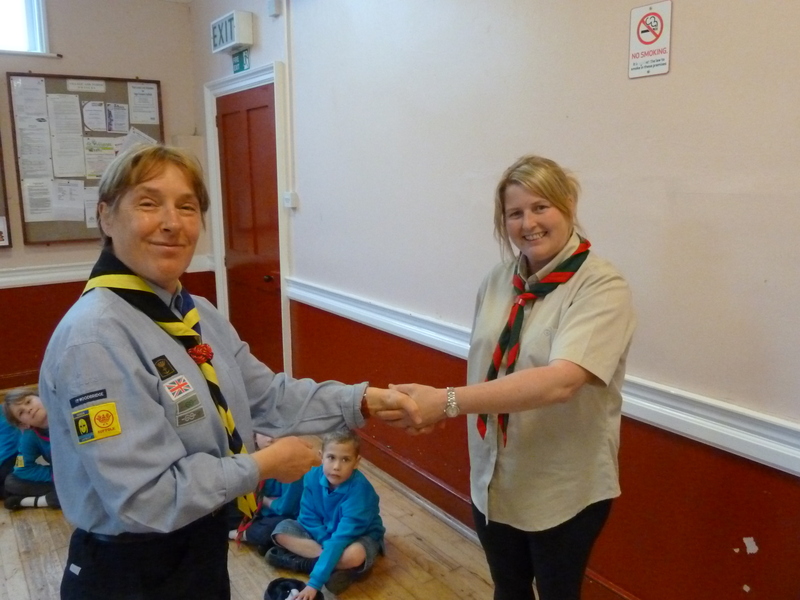 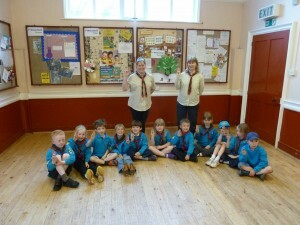 Last Night Kerry and Amanda (aka Rainbow and Sunshine) were invested as the new Beaver leaders by the ADC Beavers Helena Mecrow. Eight scouts took part in the Orwell District night hike in February, because of the windy weather in the previous 24 hrs it was touch and go as to whether it would go ahead, but it did with the winds calming at the last minute and our scouts went on to come joint first. 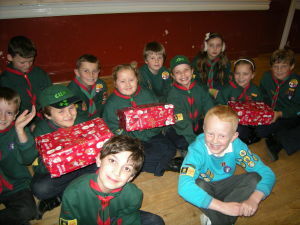 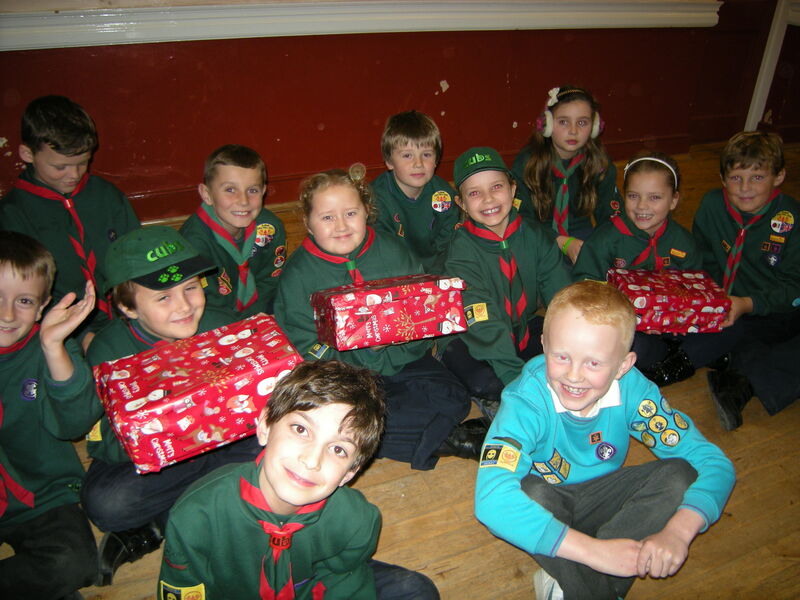 1st Westerfield Cubs & Beavers prepared for Christmas – but with a Scouting theme, by making tree decorations during their meetings. 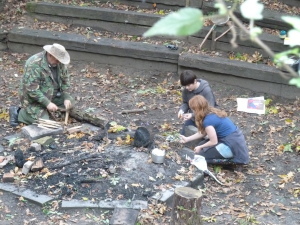 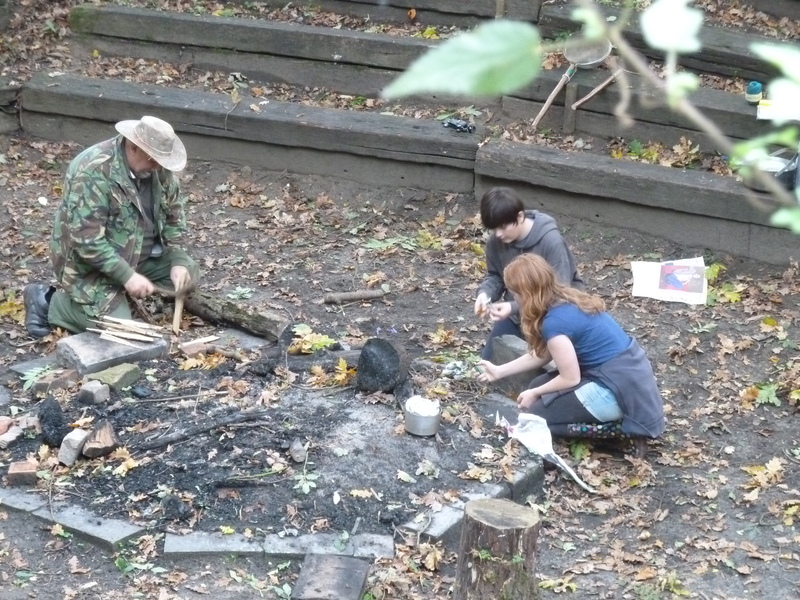 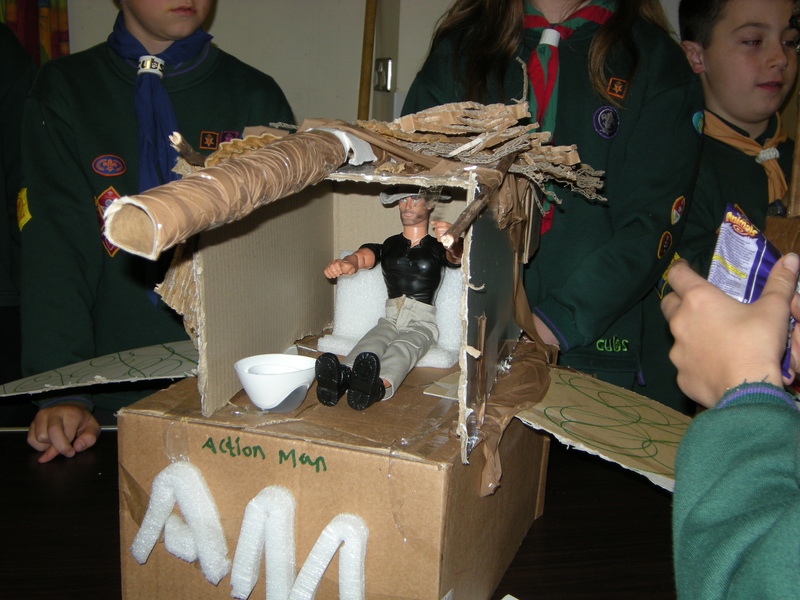 The Cubs made ‘natural’ tree hangings from thin slices of tree branches (with the help of ‘Skip’ & ‘Q’ from Scouts), & each decorated with a ‘camp-fire’ and Cub activity badges. The Beavers made ‘icicles’ with cut-out letters of words depicting Beaver activities – ‘fun’, friendship’, ‘creativity’ etc & cone angels. 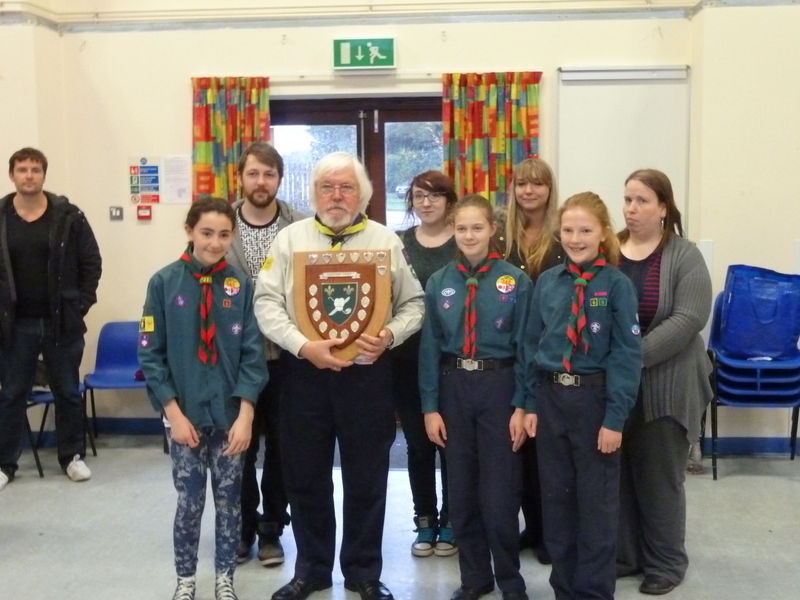 The tree was one of several, representing community groups at the recent Christmas Tree Festival displayed in Witnesham Baptist Chapel. 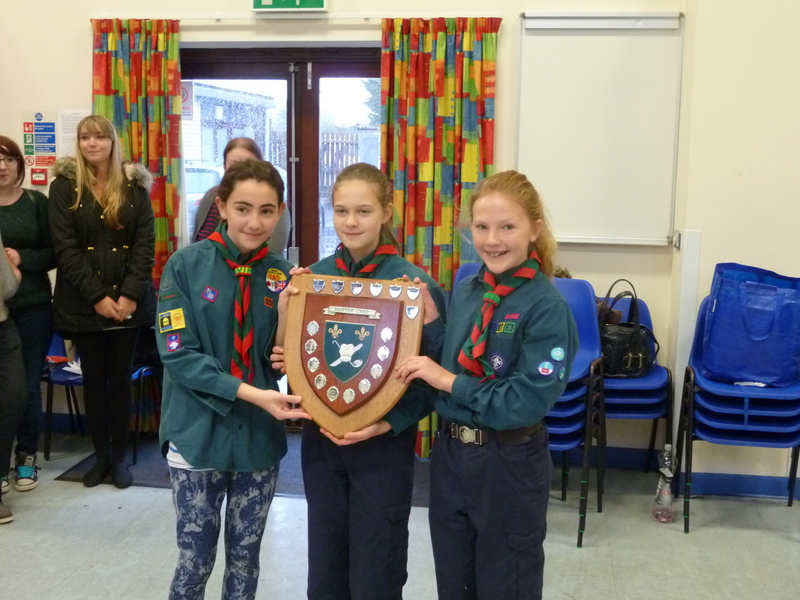 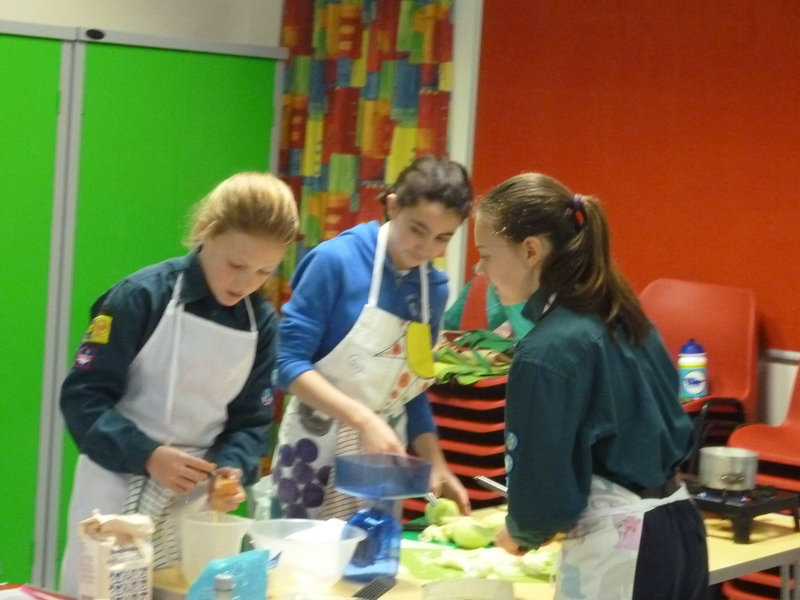 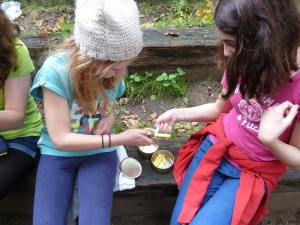 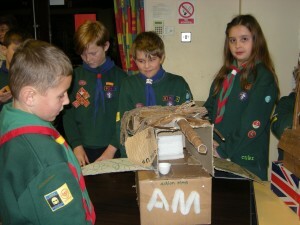 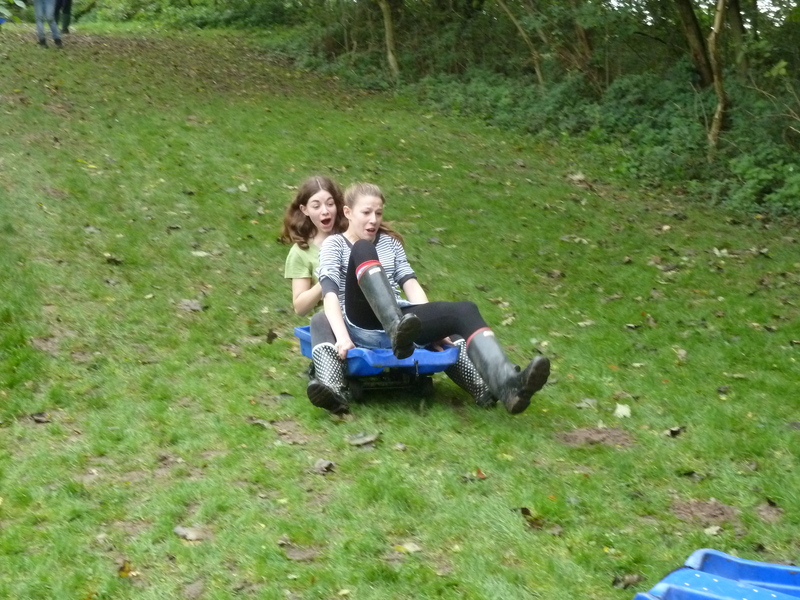 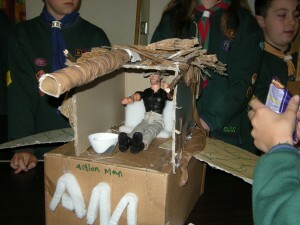 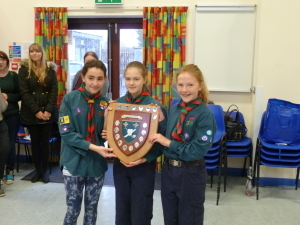 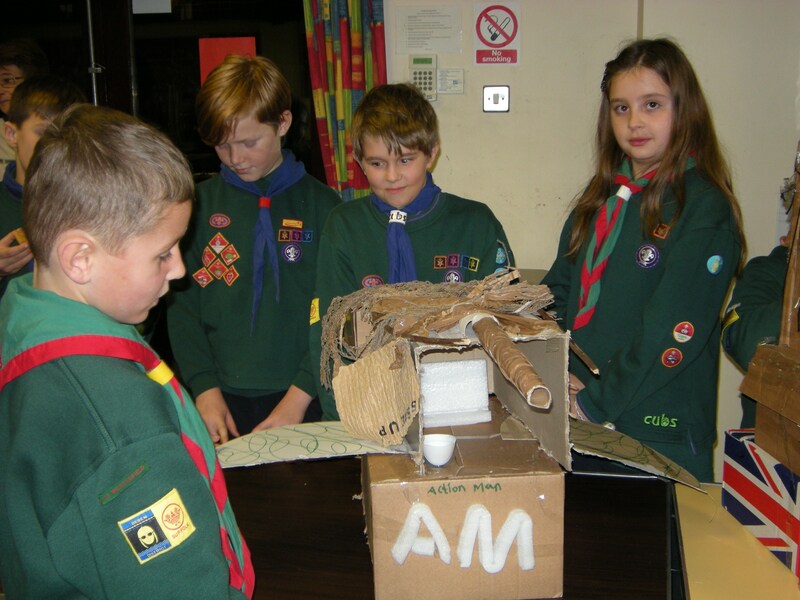 Two Westerfield Cubs entered the District Cub Construction Challenge on 25/11/13. 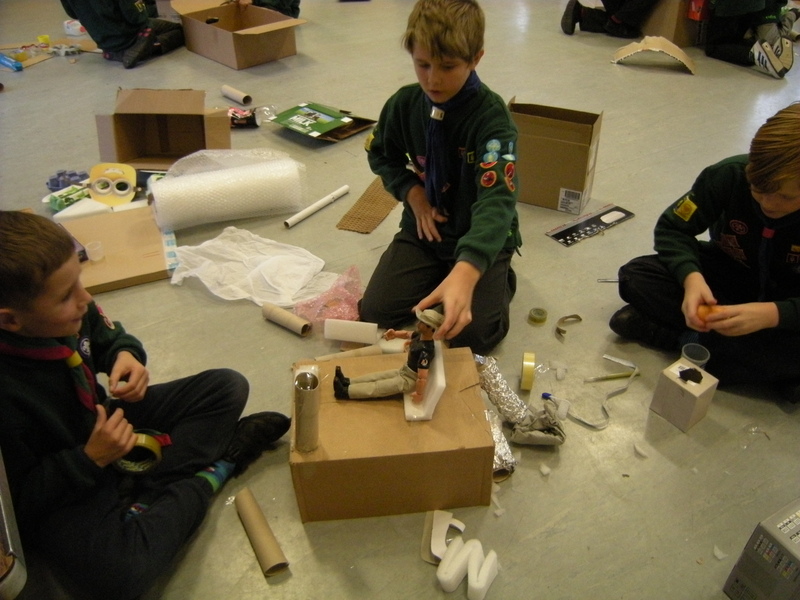 They had 2 hours to work as a team to design and build a working model vehicle. Well done Olivia & Ben for coming 2nd out of 5 team entries! 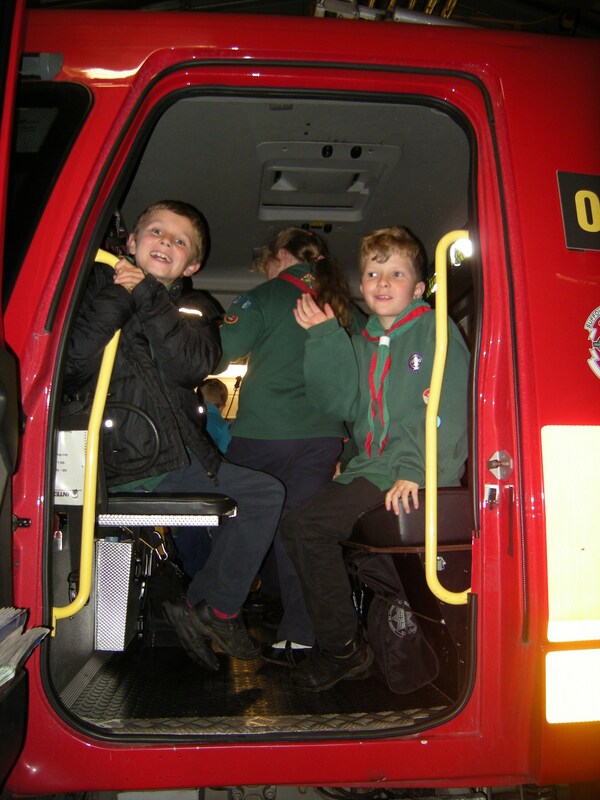 Also included is a photo from the Cubs recent visit to the fire station.